Northern Argentina is a region of fascinating diversity, where urban delights contrast with vineyards, valleys and mountain ranges. This 9-day tour of the region moves from the colourful neighbourhoods of Buenos Aires to the cowboy ranches of Cardales, remote villages nestled in the Andean foothills and the world-renowned wine estates of Mendoza. 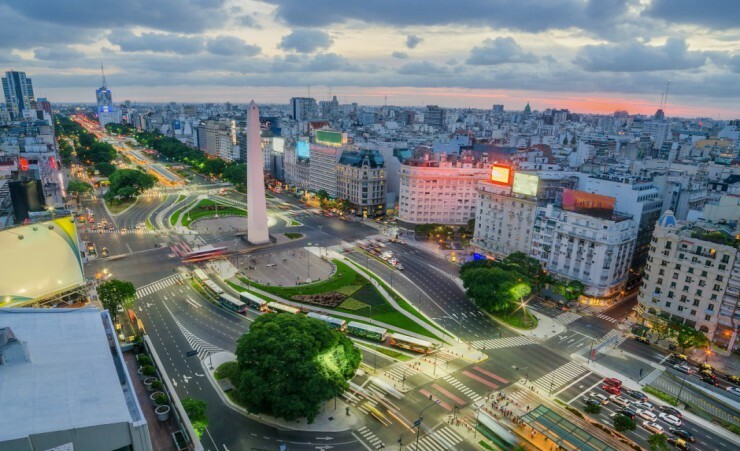 Depart London on your scheduled, overnight flight to Buenos Aires, via Sao Paulo. On arrival, you will be transferred to your hotel. In the afternoon, set out for a tour of cosmopolitan Buenos Aires. Start at Plaza de Mayo, a square that serves as the historical, political and cultural centre of the city, then admire the diverse architectural styles of the city as you walk down Avenida de Mayo into the neighbourhood of San Telmo, one of the oldest in the city and renowned for its bohemian style. 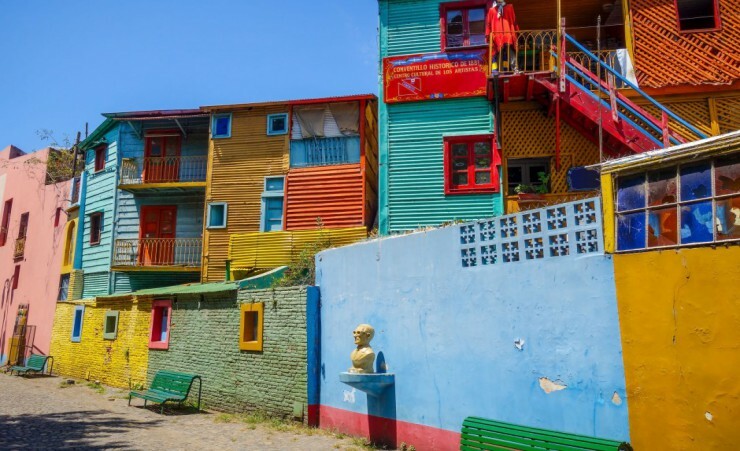 Going further south, arrive at the colourful port neighbourhood of La Boca, home to the vivid houses and murals of Caminito street. Continue onward through the modern district of Puerto Madero, finally arriving at La Recoleta, an elegant residential area that showcases the classic buildings of the city. Return to your hotel to refresh yourself before dinner and a tango show at El Querandi, a long-standing, traditional restaurant. Journey into the locality of Cardales for a full-day tour of Estancia Santa Susana, a ranch famed for its gauchos, or South American cowboys. Your tour begins in the pub where you can dine on meat empanadas and wine before sampling the authentic barbecue dishes synonymous with Argentinian cuisine. After lunch, enjoy an entertaining performance of dance and musical folklore, a tango demonstration, and an exhibition of roping and ring games as the Gauchos display their horsemanship. Horses and carriages are also available for those interested in freely roaming the countryside. In the late afternoon, a light meal is of Mate tea and sweet casseroles will be served before you return to Buenos Aires, where dinner will be at a local restaurant. Transfer to the airport in the early morning for your flight to Salta. After checking into your hotel, explore the city on an afternoon tour. 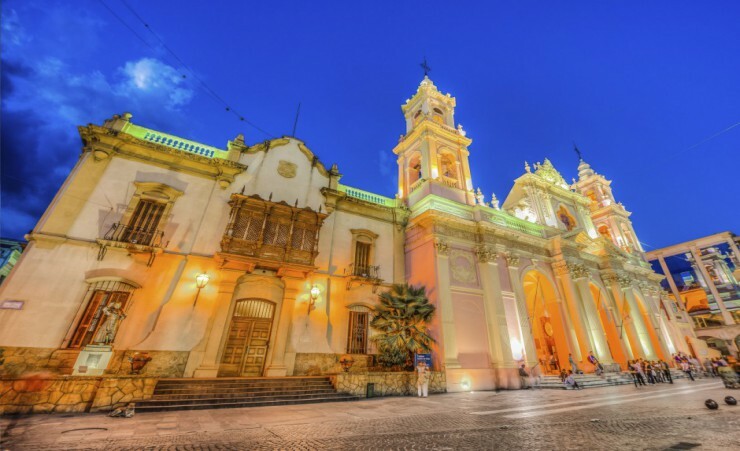 Salta is hailed as one of Argentina's most picturesque cities, due largely to the attractive contrast between its colonial buildings and modern architecture. Visit some of the landmarks most representative of the colonial times, including the Church and the Convent of San Francisco and the Basilica Cathedral, then view the well-preserved sarcophagi and everyday objects of an Inca family at MAAM Museum. Travel onward to the hill of Cerro San Bernardo where you can take in panoramic views of the city and surrounding valley before your tour ends at the craft market of Mercado Artesanal, where you'll have the chance to browse through regional pottery, baskets, textiles, tapestries and ponchos. Surrounded by rivers and a belt of vineyards, the picturesque town of Cafayate is the site of today's excursion. Take a scenic drive through valleys and past dramatic rock formations as you make your way to Piatelli winery. Discover how the traditional wines of the region are produced and enjoy a wine tasting before lunch at a traditional restaurant downtown. Next, visit the colonial church and the Museum of Vine and Wine in the town centre before your drive back to your hotel. En route to Salta, stop at several places of interest, including the well-placed Tres Cruces viewpoint and Posta de las Cabras, a rustic cafe set in remote, natural surroundings. Uncover the mighty Andean range on today's full-day tour of mountainous villages and age-old ruins. Pass through the village of Campo Quijano, 'the gateway of the Andes' as you journey to Santa Rosa de Tastil, one of the most important pre-Inca sites of the region. Wander amongst its historic ruins and museums then enjoy a packed lunch before travelling onward to the town of San Antonio de los Cobres where you'll have the chance to board the 'Train to the Clouds' (seasonal), one of South America's most extraordinary rail journeys. Soak in extraordinary scenery as you pass through desert-like landscapes to the Polvorilla Viaduct which, sitting at 4,200 meters, is the most impressive engineering feat of the last century. Disembark your train here and transfer back to Salta via Cordoba. Transfer to the airport for your flight to Mendoza, the source of the Malbec wine grape, where you'll have an evening at leisure to relax or explore the town. Nestled in the foothills of the Andes, Mendoza teems with vineyards and dramatic valleys. A wine tour through the district of Lujan de Cuyo leads from one winery to the next, giving you well-rounded insight into the Malbec wine-making process and ample opportunity for wine tastings. Lunch will be served at one of the wineries visited before you continue your exploration of the numerous wine estates of the area. In the late afternoon, return to your hotel, re-joining your group in the evening for your farewell dinner in a local restaurant.